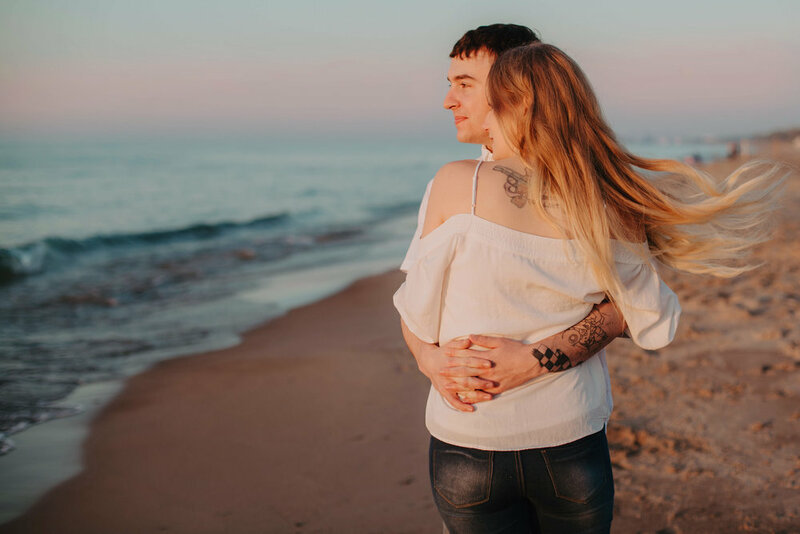 Grace & Jake's Beach Engagement Session — T.O.A.D. 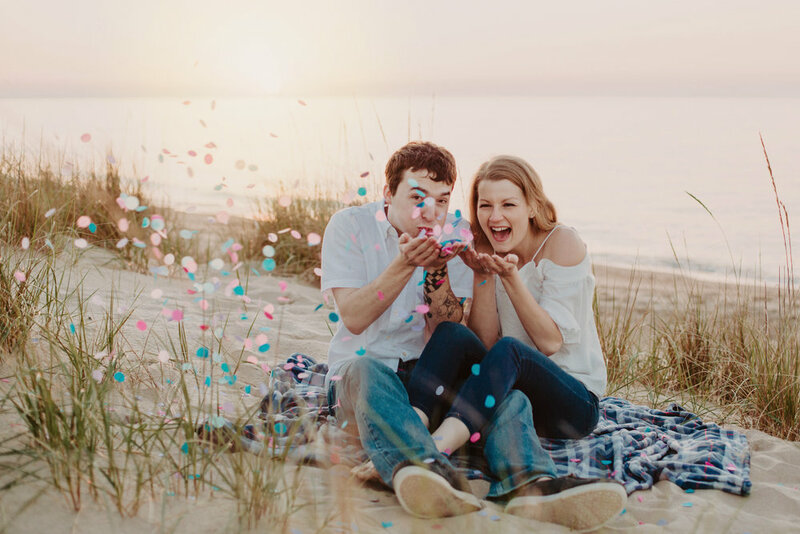 We had so much fun shooting with Grace and Jake at Marquette Park/Miller Beach. They were so sweet and kept making each other laugh and us too. We spent half our time strolling through the trees and pavilion and the second half on the beach. "A friend of mine invited me to a house party that Jake happened to be throwing the summer after our senior year of high school. I accepted the invitation but did not know Jake at the time. When I arrived to the house, my friend walked me over to the front yard where Jake was lying in the grass. My friend introduced us, Jake stuck his hand up in the air and gave a partial wave, said hello nice to meet you, have fun. The rest is history!" "He proposed at the Sofitel hotel in Chicago, in our room. When he asked me to be his girlfriend way back when he had said " I fancy you to be my fine female friend." He used that same phrase again but said "I fancy you to be my fine female friend forever." When do you feel most loved by Grace? "When she says she misses me and I've only been gone for like 13 hours tops." When do you feel most loved by Jake? "When we finally get a night to spend with one another and we're able to fall asleep together. He works midnights so it's rare that we get to go to bed at the same time. He pulls me close every time and holds me as we fall asleep." 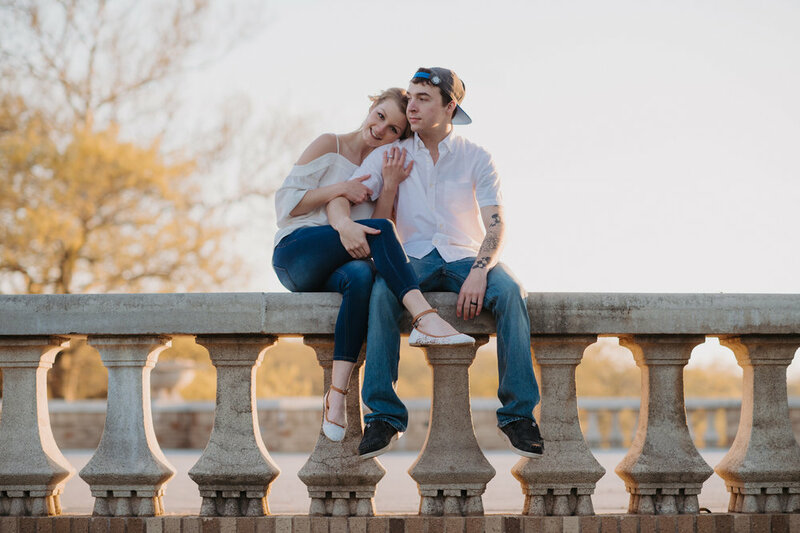 We can't wait to shoot your wedding day tomorrow and meet your friends and family! Grace & Merritt | Best Day Ever!! !